The build is simple but will look great when complete. Highly Recommended. 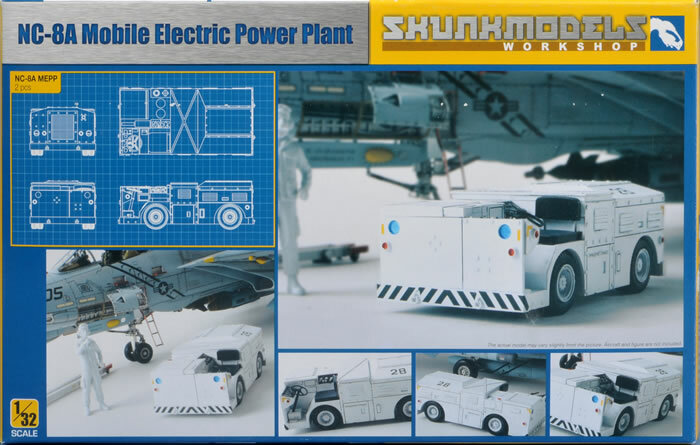 Skunkmodels of Hong Kong has just released a kit containing two 1/32 scale NC-8A Mobile Electric Power Carts. The NC-8A is a driveable mobile power cart with a low profile to allow it to fit under aircraft wings. While serving in the RAAF, I operated and drove the NC-2A. This vehicle was a lighter weight vehicle with single wheels instead of the double bogie wheels of the NC-8A. The vehicles look almost identical and are rear wheel steered which makes for some interesting driving. The vehicle tears along at a high speed of about 15 mph (20 km/h) so you don’t get anywhere fast. 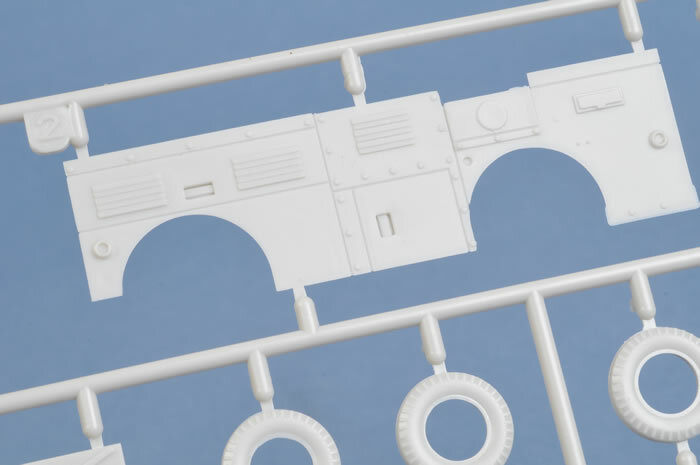 The kit parts are moulded in medium grey injection moulded plastic to a superb standard with nice detail. Each NC-8A is made up from 42 parts. The detail is so finely moulded that even the small power cart control panel and instrument panel detail have been faithfully reproduced. The build is simple but will look great when complete. The decals look excellent. They are nice and thin and within good register. 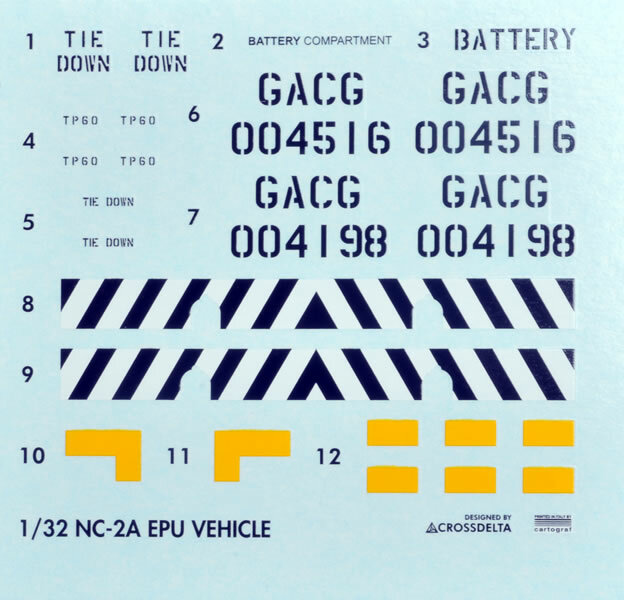 A colour instruction for the paint scheme of the NC-8A is printed on the back of the presentation box and paint colours are given as Gunze Mr Colour paint numbers. 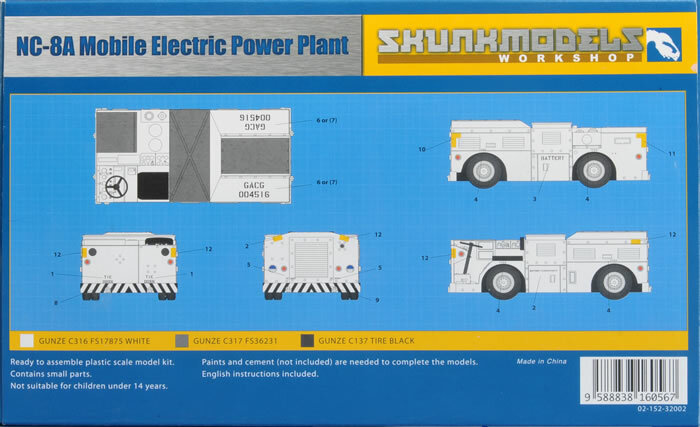 Hopefully Skunkmodels will continue with their high quality mouldings of ground support equipment to enhance aircraft dioramas or to even just display aircraft weapons on their own.